Thank you for some good news! I will watch for your introductions of these new colors when you receive them. Some of those names sound really interesting -- I hope the inks live up to my expectations. You're welcome. I don't think it will be too long to wait. 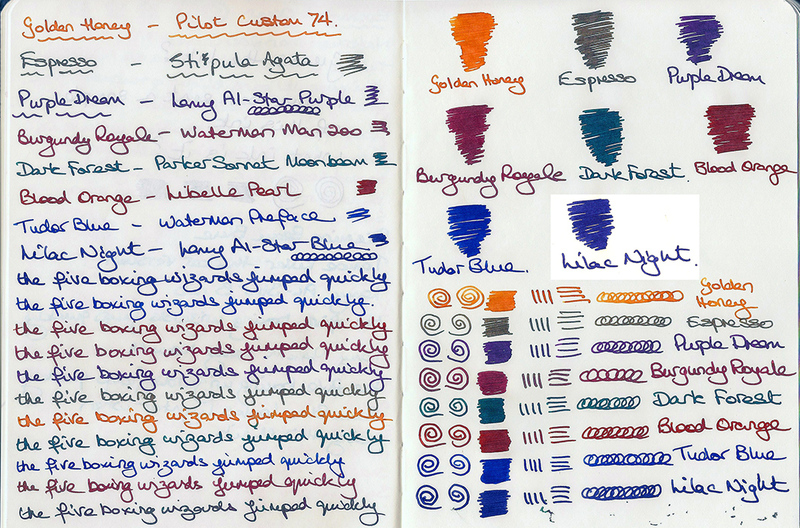 I definitely have more Diamine inks than I do Noodler's inks. Good to see new colours & we should celebrate the absence of pernicious glitter additives. Interesting! We look forward to seeing your reviews. When does passing along info become enabling / teasing? 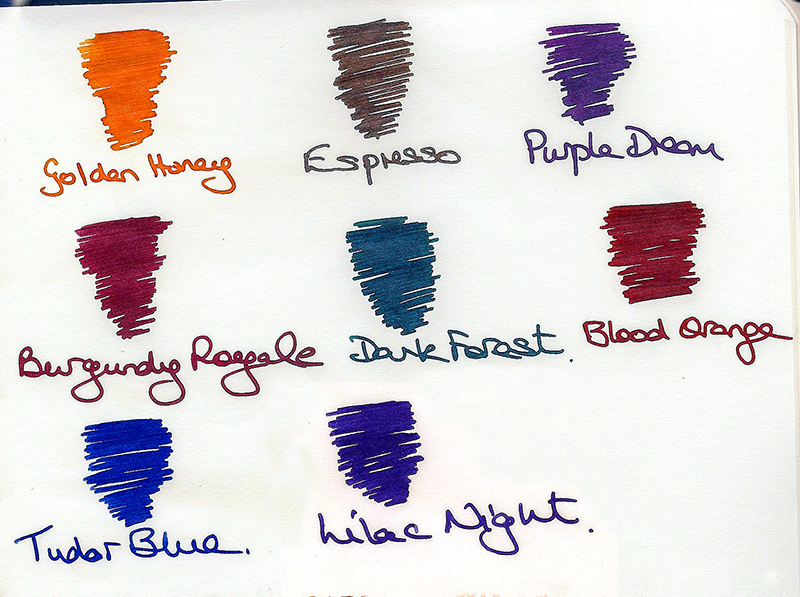 A tip of the hat to the Diamine ink boffins for their ongoing contributions. Edited by Sandy1, 09 May 2017 - 01:55. If the new ones are as good as Oxford Blue and Classic Green, I'll be happy. Thank you for the info, Chrissy. Hope to see your sneak peek soon! As soon as I can pass on more information, you will be the first to know. My humble apologies, there was no intention on my part to tease. I was asked if I might care to pass along this information. At the moment it's only a case of something being better than nothing. The names sound pretty cool. I'll get whole set. OK well I just got the go ahead. So these are quick swabs of the 8 colours: (I had to colour adjust Lilac Night) These are in a Tomoe River thicker paper notebook. I will do some reviews shortly. Thank you for sharing, Chrissy! Espresso looks suspiciously like a shimmering ink. It could be sheen though. Yes: Golden Honey, Purple Dream, Tudor Blue. Maybe not: Espresso, Burgundy Royale, Dark Forest. Edited by Lgsoltek, 09 May 2017 - 12:33. Espresso is as it says on the tin. Like Espresso coffee. It may be a little light in my swab image. It's dark brown. Yes: Golden Honey, Burgundy Royale and Blood Orange. Maybe: Espresso and Dark Forest. Rather not: Purple Dream, Tudor Blue, Lilac Night. Welll, I expected different colors than the ones I see. I guess I'll try them anyway but they don't look thrilling. SUrprisingly the only ink that catches my attention is Dark Forest. I expected it would be dark green but it looks like some dark teal. Oh well, at least there's some inky fun ahead of us.